Deep Creek Lake, mountain lake sailing at its finest! 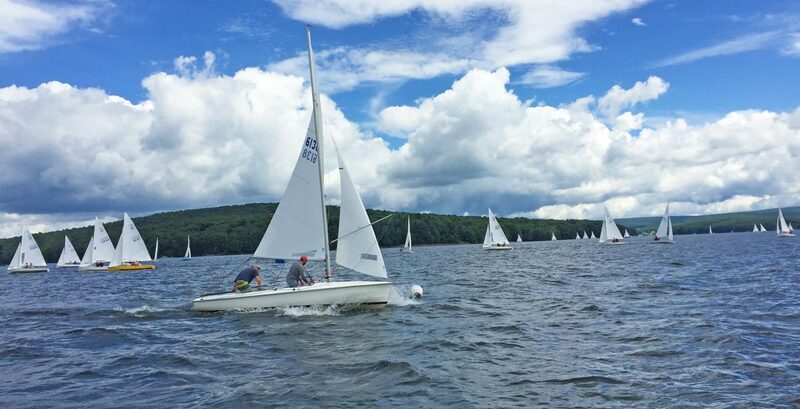 This past weekend 52 Flying Scots descended upon Deep Creek Lake – home of the Flying Scot Inc. factory to race for the Sandy Douglas Memorial Trophy. This is the biggest event in Deep Creek which is the biggest Flying Scot fleet in the country. It is mountain lake sailing at its finest! 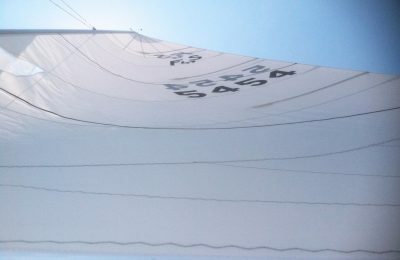 The breeze is constantly shifting and it’s rare to be sailing in the same wind as the boat 10 yards away from you. 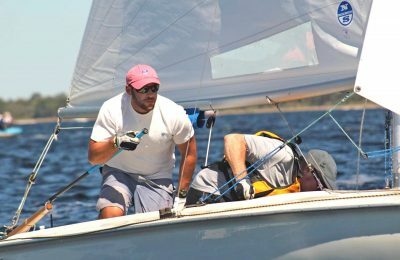 This regatta is all about having fun in one of the most beautiful venues you could ask for. TIP FROM ZEKE: Remember in shifty and puffy conditions to always have a hand on the vang! It might even be prudent to have the crew playing the vang because it is so important to ease the mainsheet and tighten the vang hard when you get a big puff. As soon as the puff leaves, the vang must get eased back off quickly to power the boat back up. You should be adjusting the vang nearly as often as you adjust the main sheet!